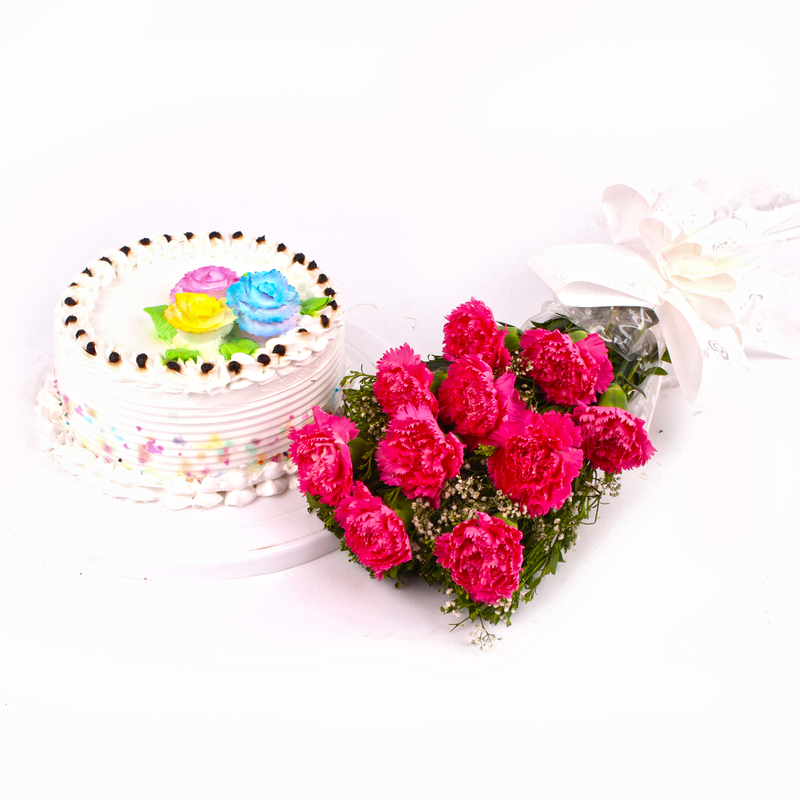 Product Consist : Bouquet of 10 Dark Pink Carnations along with Half Kg Vanilla Cake. 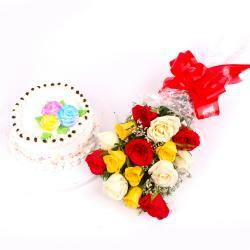 Nothing is more delighting than a gift of Carnations and cake on special events. 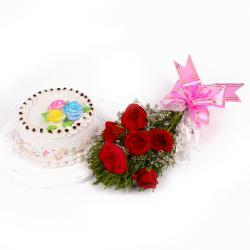 Light up your loved ones with happy smiles by treating them to this sumptuous gift hamper that comprises of a bunch of stylish pink carnations and half kg vanilla cake. The bunch of 10 lovely pink shade of carnations in cellophane is sumptuously tied with a matching fancy ribbon in bow shape. 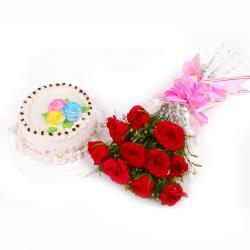 This classic gift hamper is perfect to elate loved ones on occasions like Birthday, Anniversary, Missing You, Dusshera, Makar Sankranti, Boss Day and so on. So go on and place your order now. Send this bountiful hamper along with other Gifts to India through Giftacrossindia and make your recipient feel special. 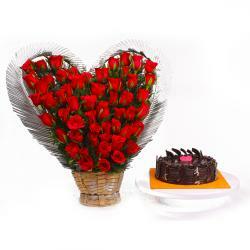 This gift hamper contains : Bouquet of 10 Dark Pink Carnations along with Half Kg Vanilla Cake.